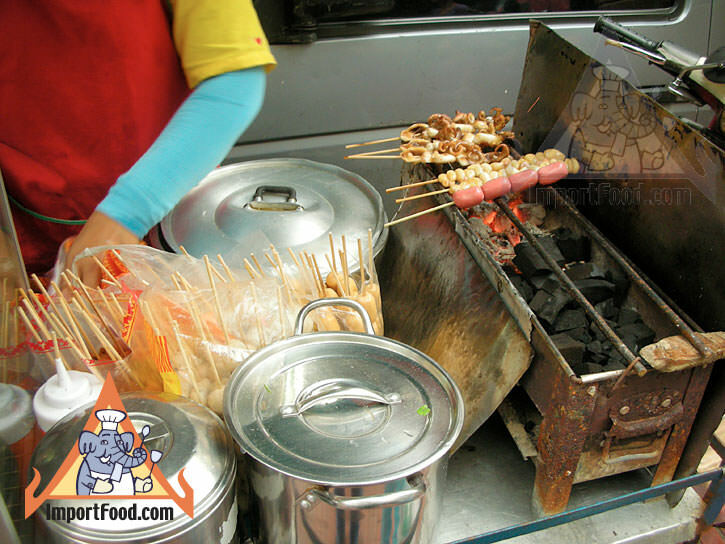 This vendor offers a variety of charcoal barbecue snacks, all known as "luke chinping" and sold on wooden sticks. She offers two types of squid, and small hot dogs. With each purchase you can have one or both of the special sauces offered, served in a small plastic bag sealed with a rubber band. Often times, the success of a vendor depends on the quality of sauce included with the purchase, as customers may decide to buy based on that alone, therefore vendors will usually have a great deal of pride in not only their main dish but also the sauce. 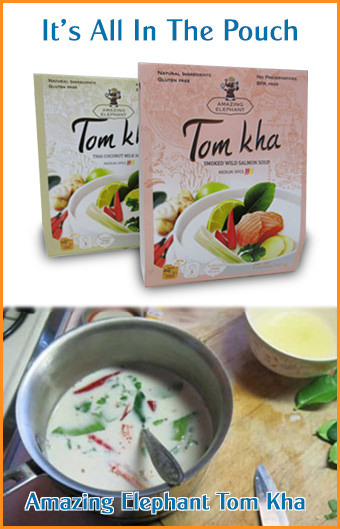 Repeat customers may end up purchasing the sauce in larger quantity for use at home, thus creating another opportunity for business. 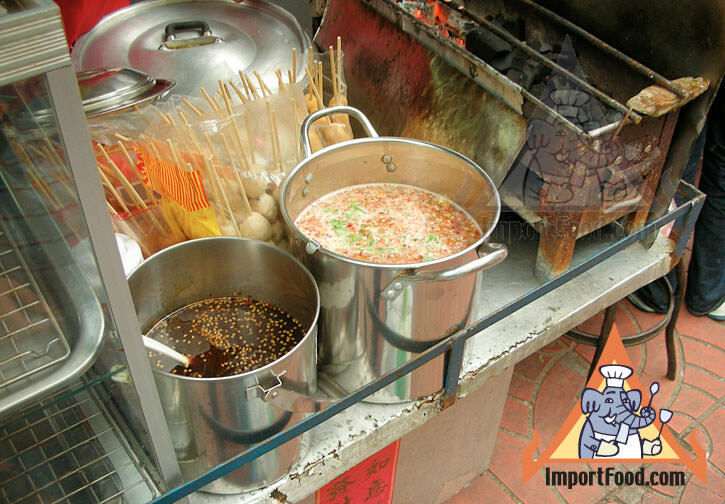 This vendor offers a sweet sauce "namjim wan", and a spicy sauce "namjim ped". Namjim wan is made with sugar, salt, vinegar and chile pepper. Namjim ped is made with fish sauce, garlic, sugar, lime juice and chile pepper. 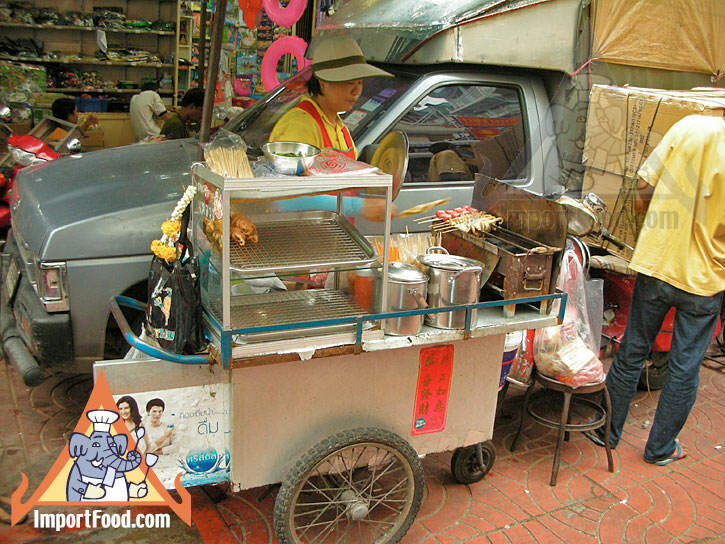 Thai hotdogs are often served with spicy ketchup.